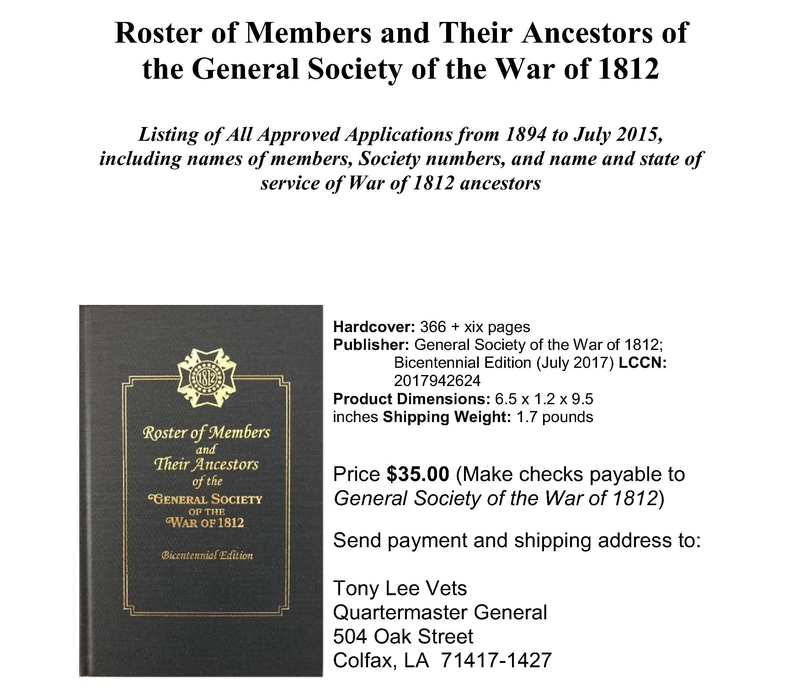 The General Society of the War of 1812 has established guidelines governing inquiries that are received for genealogical information from our archives. We will not supply information from our records concerning any living member, without that member’s prior written authorization for us to release such data. No ancestral information or supporting documentation will be released without the written approval of that individual. Our Archivist General is free to use his own judgment about the release of data regarding our deceased members. To cover the costs of research and the copying of appropriate documents, we have established a fee. For each name to be researched, a payment of Ten Dollars ($10.00) must be submitted. Checks are to be made payable to: The General Society of the War of 1812. A reply will take approximately one month. It will contain whatever information is available and copies of documents that, in the opinion of the Archivist General, may be released. Should no information be found, you will be so informed. No fees will be returned. Fees are subject to change. Interest in our archives is appreciated.